With 30 years of Human Resources experience, Linda Klingman can minimize your risk by avoiding costly lawsuits and government audits. She has accomplished this in the fields of healthcare, IT, banking, manufacturing, and private communities. Ms. Klingman was the US Benefits Manager for PricewaterhouseCoopers and EDS clients in New York City. She worked on crisis management and business recovery during and after 9/11. Returning to Pennsylvania, she achieved success with a state grant in Pittsburgh, returning almost 100% of a disadvantaged long term unemployed population to the workforce. She took her expertise to small businesses when she launched Today’s Workforce, a Human Resources consulting firm, in Pennsylvania. 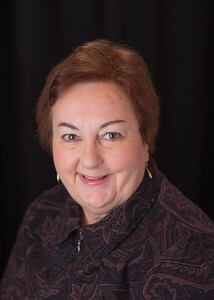 Linda taught Human Resources classes and the undergraduate curriculum in Organizational Leadership at various community colleges and universities. She also facilitated workforce development programs in businesses throughout Pennsylvania under a state grant at California University of Pennsylvania. Ms. Klingman has owned property on Hilton Head for over 20 years and, since moving to the island, managed Human Resources at Moss Creek. She has been a Board member of the Lowcountry Human Resources Association, where she is currently serving as President. Mission Statement – HRCoastal offers Human Resources and compliance solutions to small businesses through outsourcing and consulting services. Values – Integrity. Expertise. Trust.